From the pencil of the well-respected Peter Nolin, you would struggle to put a date on the Scampi many with many features found on successful racers decades newer. She has partial hard chines and a full form down aft coupled with a fine entry, she sails beautifully and leaves many more modern boats in her wake. 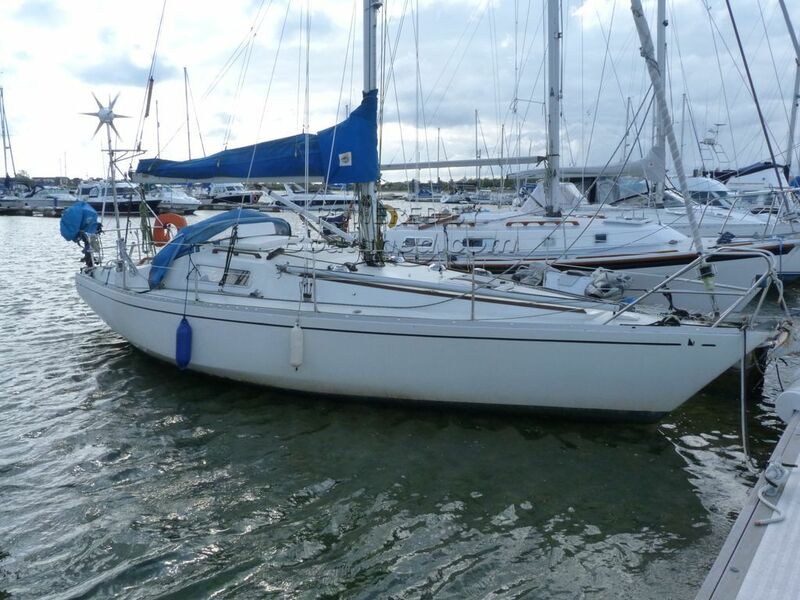 This example has been well loved, kitted out for offshore cruising by the previous owner and sensibly maintained and upgraded by the current owner. It looks like the spars have been replaced at some point in the recent past and the engine starts on the button, she has also recently had the high current wiring replaced as well as new heads and many other bits and pieces. Comfy but practical down below and with a good deep cockpit, she is a great sea-boat and could easily eat up passage miles and could suit many genres of ownership from club racing to serious offshore adventures. She is priced to sell and well worth a viewing. This Scampi 30 has been personally photographed and viewed by James Gould of Boatshed Port Solent. Click here for contact details.